Located at 2352 St. Clair Avenue West, at Britannia Ave. In 1890, a four room school was built on the outskirts of the village of West Toronto Junction. It was situated so children would not have to cross the CPR tracks to reach the Annette Street School. There was a a bell tower and a pump in the yard with a cup on a chain. In the early days, the school was surrounded by market gardens, dense brush and bush. St. Clair School was one of four schools in the area — the others being Annette, Carleton, and Western Avenue — all served by a woman Supervisor of Education. 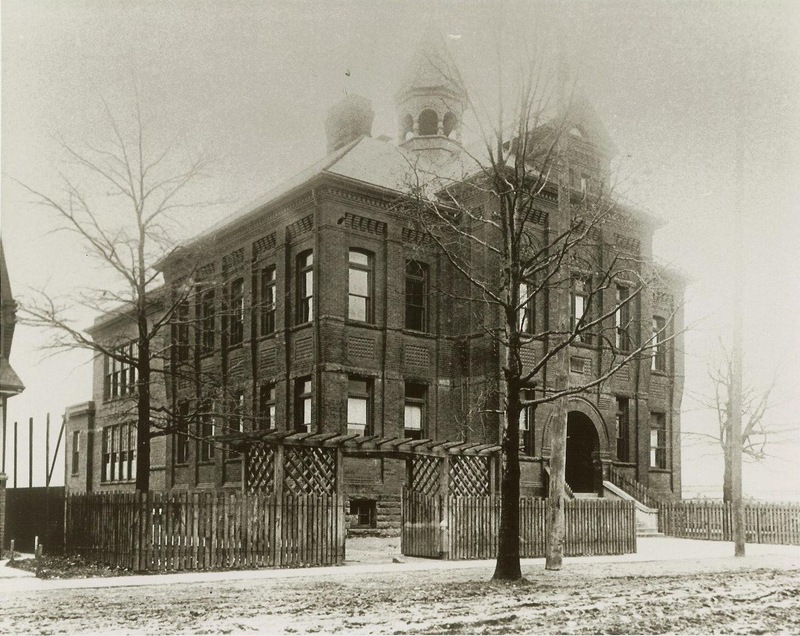 In 1908, a fire in the building destroyed the school records and the bell tower. Old timers recalled the fire starting in during school hours. Mothers gathered outside the school and teachers began dropping children out of the windows to be caught (or not) by mothers below. In 1911 the first kindergarten class started and in 1915, a large kindergarten and two classrooms were added to the back of the structure. Strathcona School was built to remove pressure on St. Clair. The school was closed in 1970.